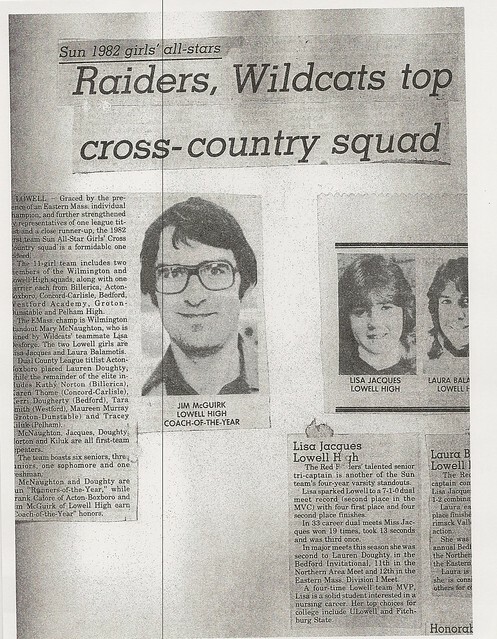 Compiling an impressive record in Cross Country, Indoor Track, and Outdoor Track, Lisa Jacques Hogan established herself as the premier female distance runner in the history of the Lowell High Track and Cross Country Program. 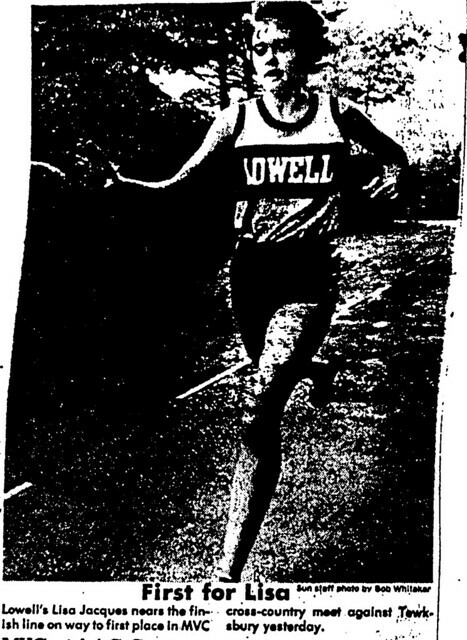 A three-season Captain and a rare 12 varsity letter winner, Lisa was victorious in 62 of 85 career Dual Meet races, placing 2nd in 21 of her other races. 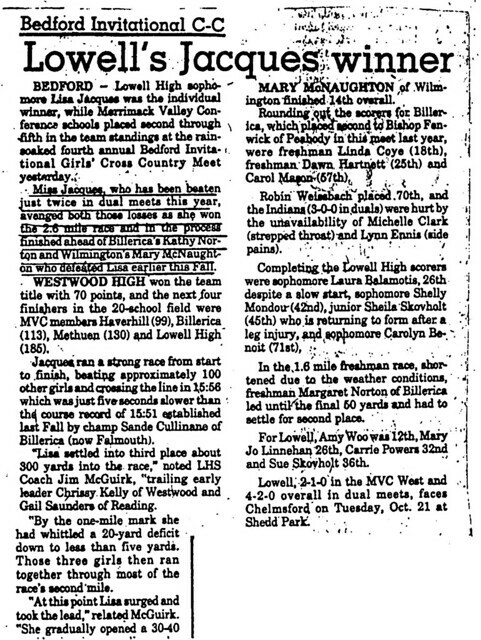 In Cross Country, Lisa was a four-time team MVP, four-time Lowell Sun All-Star, and three -time Merrimack Valley Conference All-Star, as well as a consistent top 10 finisher at the Eastern Mass State Championship. 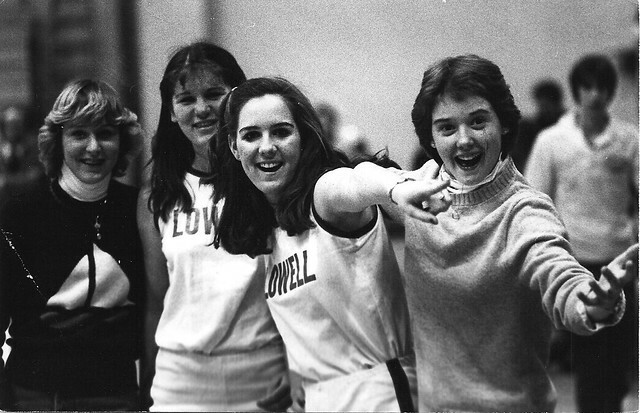 As a member of the Red & Gray Indoor Track Team, Lisa was a three-time Lowell Sun and two-time MVC All-Star. 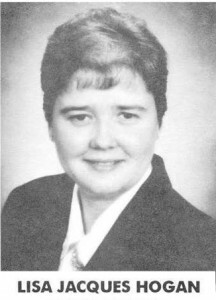 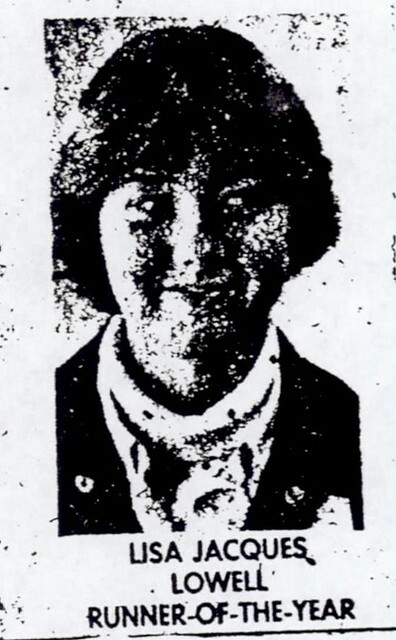 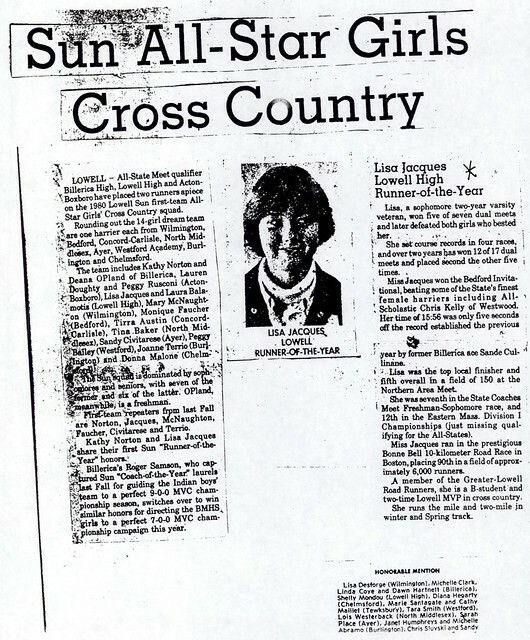 She was ranked 10th in the nation by Track & Field News in the 1000-yd run during the 1981–1982 season. 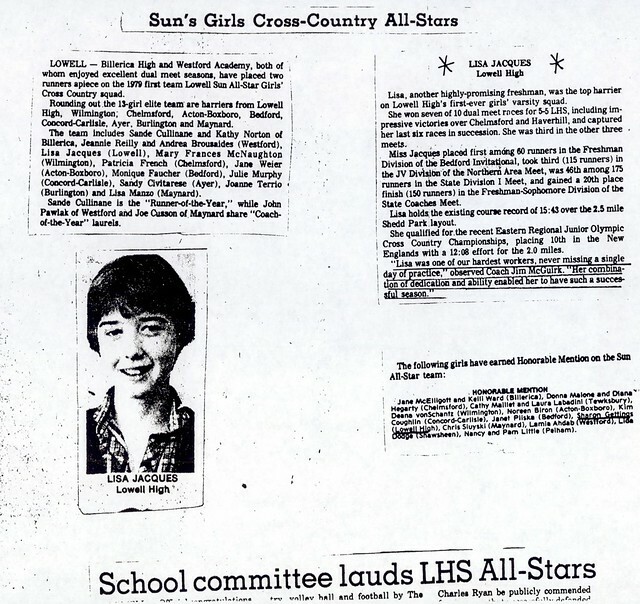 During her outdoor track career, Lisa was a two-time MVC All-Star. 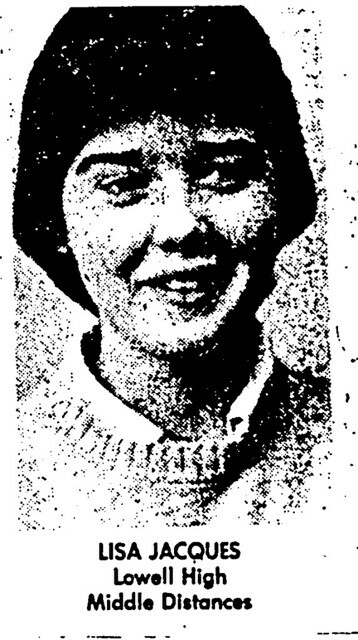 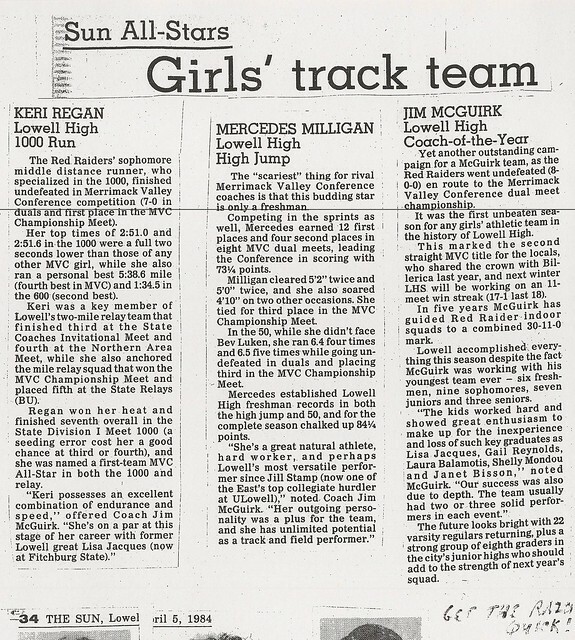 She was a State Class A Champion as a member of the Raiders 4×800-meter relay team in 1901. 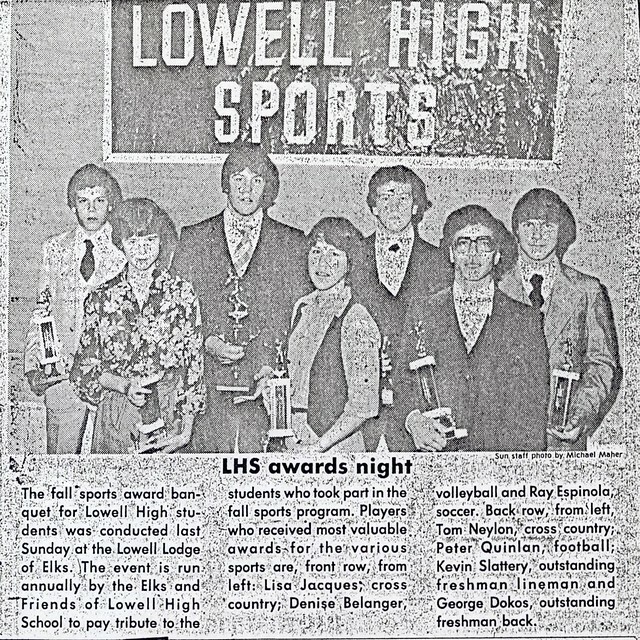 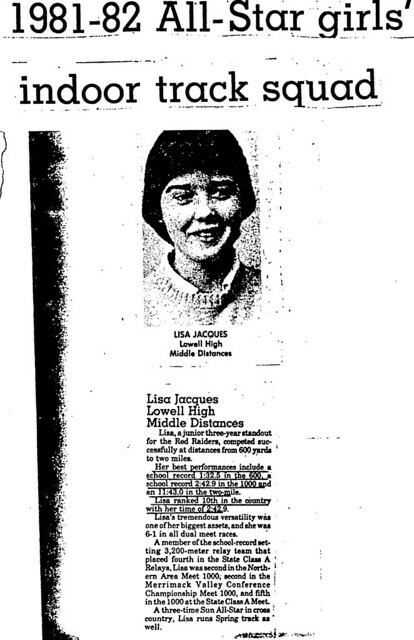 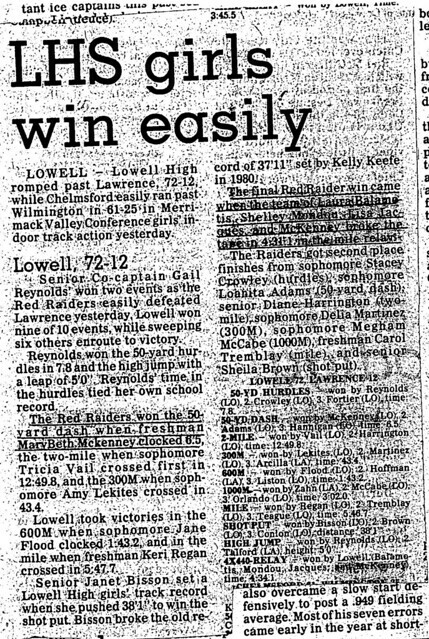 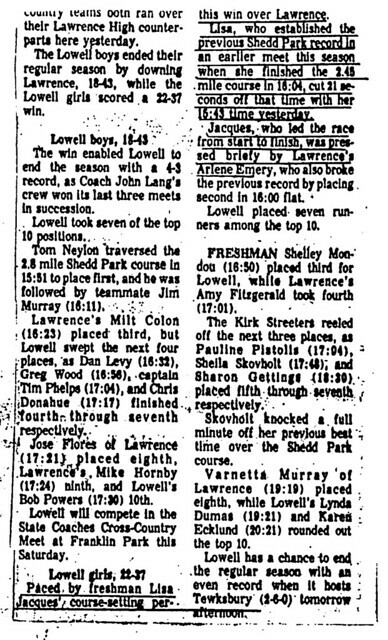 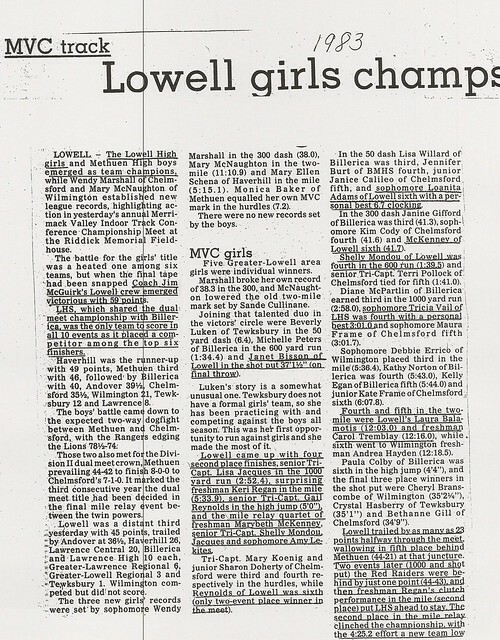 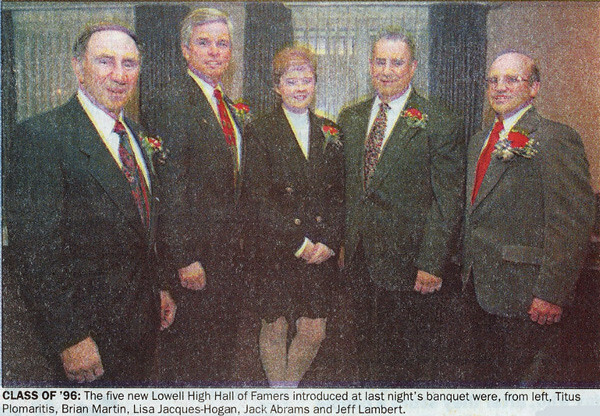 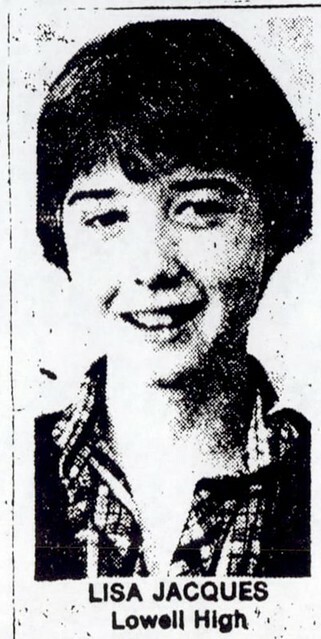 Overall, Lisa established 9 Lowell High School Track records at distances ranging from 600-yards to 2 miles, several of which still stand today. 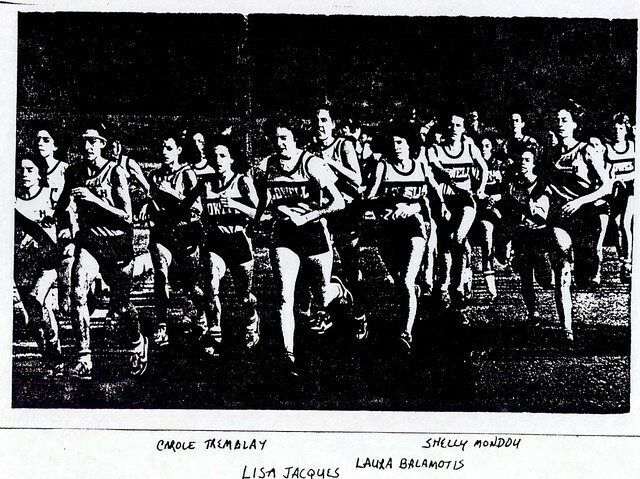 After graduation, Lisa continued her running career at Division II power Fitchburg State College. 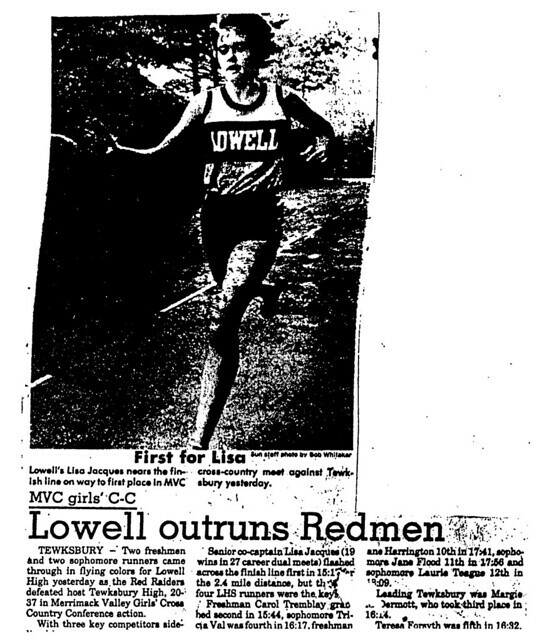 In addition to competing at the prestigious Penn Relays, Lisa was a two-time New England Collegiate Champion as a member of Fitchburg’s 4×800-meter relay team. 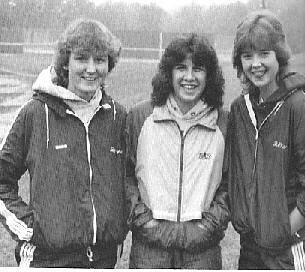 Lisa eventually brought her expertise to the coaching ranks, developing several outstanding distance runners as Girls Track Coach at Burlington High School.